Queen Rania of Jordan visits a Microclinic. According to the International Diabetes Federation, the global diabetes epidemic has the potential to become one of the greatest health catastrophes the world has seen. A key Middle Eastern country, Jordan’s economy and health care infrastructure are presently bearing the burdens of regional instability, the tremendous influx of Iraqi refugees, significant levels of poverty and unemployment, and a growing diabetes epidemic. 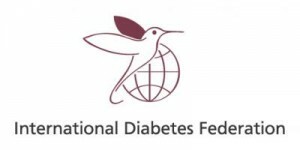 The high prevalence of diabetes in Jordan and the greater Middle East calls for an economically feasible national plan for the management and prevention of diabetes and its complications. Microclinic International is developing a National Microclinic Project for diabetes management to reduce poverty and increase economic growth.